Enjoy a stay at the Lovey Todd Valley Estates in a Colonial Style Cabin Home with 1350 sqft. Built in 2005 and fully furnished, this place has it all. Enjoy a stay at the Lovey Todd Valley Estates in a Colonial Style Cabin Home with 1350 sqft. Built in 2005 and fully furnished, this place has it all. Two Master Suites with a walk-in Shower and a Seperate Tub/Spa. 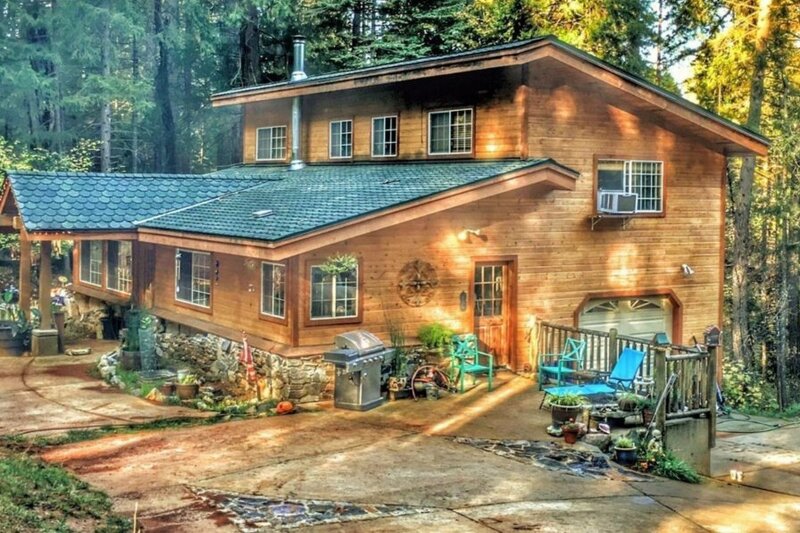 Come and stay surrounded by pine, cedar, oak and manzanita trees with all the peace and quite you need. The drive is full of scenic views and stop points along the American River.... Amazing! Three miles to the town of Foresthill. Twelve miles from Auburn. An hours drive to Lake Tahoe. One to two hours drive to Ski Resorts and two and a half hours to the Bay area. Please Note: There is a guest quarters about 100 feet from the cabin house that is used for pets and a friend in his 70s who occasionally is present yet never makes contact with guests. I occasionally occupy the music studio, which is a converted garage in the lower level of the house in order to do routine maintenance or work on various projects on the property. Also, it helps to be near just incase guests require anything or have questions and/or want assistance in or around the house. I never disturb my guests as they occupy the cabin in its entirety. It is however: A stay to remember and a place to enjoy time and time again.